When John W. Whitehead founded The Rutherford Institute as a Christian legal advocacy group in 1982, he was interested primarily in the First Amendment's religion clause, serving clients only when religious freedom was at stake. By the mid-1990s, however, religious rights were but one subset of all the freedoms that he saw threatened by an invasive government. 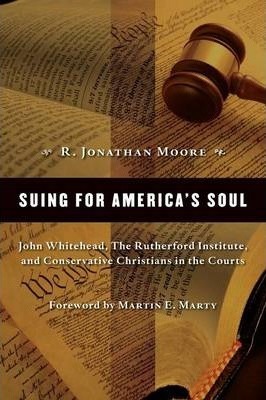 In Suing for America's Soul R. Jonathan Moore examines the foundation and subsequent practices of The Rutherford Institute, helping to explain the rise of conservative Christian legal advocacy groups in recent decades. Moore exposes the effects -- good and bad -- that such legal activism has had on the evangelical Protestant community. Thought-provoking and astute, Suing for America's Soul opens a revealing window onto evangelical Protestantism at large in late-twentieth-century America.